He is a three-time Olympian, won the World Championships in 2007, the Olympic gold medal in 2008, the FIVB World Tour this year and is overall one of the most decorated players in beach volleyball history. He is called the “Thin Beast” and after a long career he is one of the oldies on the tour. In an interview with the FIVB, Phil Dalhausser (37) has now underlined his ambitions to make it once again to the Olympic Games, the next ones coming up in Tokyo in 2020. Before that, he is also targeting the next World Championships in 2019 where he wants to win another medal. In the interview, Dalhausser also gives some great insights into how he sees the current status of the game. 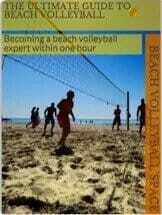 In his view, beach volleyball has gotten more competitive and more physical. Players are much taller than in the past when Dalhausser himself used to be the tallest player on the tour. One reason for this is the increased (media) attention beach volleyball is getting which also brings more indoor players out to the beach. Even for Dalhausser as one of the veterans of the game it is key to always keep improving. He is sure that as soon as you stop learning and improving, the decline starts. This is of course not only the case for beach volleyball but for other professions as well. But especially in times of increased competitveness, this is even more true than before. Dalhausser also puts an emphasis on the team character of the game. Being a great player is not only about yourself but also about your partner. “You could be the best player in the world, but if you’re a crappy partner, that takes away from your team”. This view underlines the psychological component of beach volleyball as a relationship between two partners that need to push and motivate each other. When finding his own definition of success, Dalhausser likes to compare himself to Brazilians Emmanuel Rego and Ricardo Santos. The two best players on the World Tour of all times have been on top of the game for an extended period of time. Comparing to them, Dalhausser realizes that there is still some work to do. Aiming to play until the Olympic Games in Tokyo 2020, he still has some time to catch up with the Brazilians. Got some good tips as well for anyone playing the game. Beach volleyball is just one of the sports I love to watch. I don’t play volleyball but I love the game just the same. And yes, team work is just as important as height and strength to winning the game of beach volleyball and any other kind of team sports for that matter. As what Dalhausser said, no matter how great a player you are if you don’t play well with others, you can kiss any chance of winning the game goodbye. I also appreciate how Dalhausser said that every player, veteran or not, still needs to keep improving. That is s true! The problem with some veteran athletes is that they tend to be over-confident because they think they’ve been doing it for the longest time. Anyway, I wish Phil the best of luck for Tokyo 2020.